It’s the moment we all dread, played out in real life: our child whacks another child—on purpose. Whether there’s blood and bruises or only hurt feelings, we can’t believe our eyes. Not only is the episode an ugly reflection on our parenting, we think, but now we have to figure out a way to get our child to kick the habit. It might seem impossible, but there are plenty of positive strategies for dealing with child aggression. Not only that, there’s good news: it’s entirely normal. From the toddler who bops her older sister in an attempt to gain a sparkly fairy pony, to the 11-year-old who lashes out against his buddy who doesn’t want to play one-on-one basketball, virtually every youngster displays child aggression at various stages. Child aggression can be seen in sibling rivalry scenarios or at the playground, but rest assured it’s not juvenile delinquency—it’s just something you’ll need to address before it becomes a bigger problem. 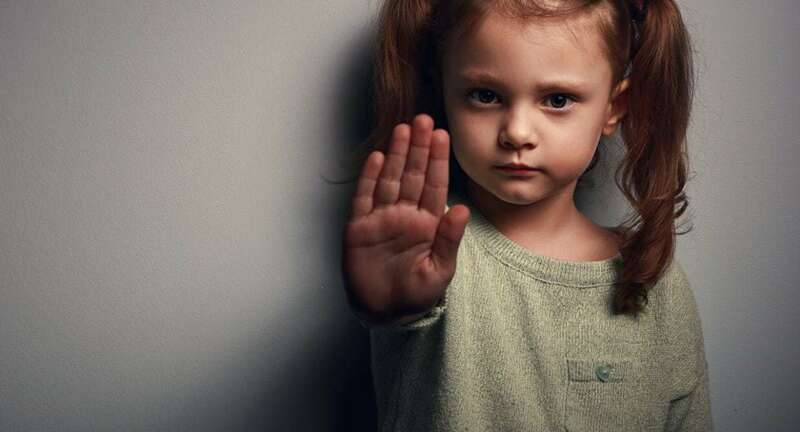 When you witness child aggression, there’s no reason to make a scene—and in fact, some kids will thrive on that attention, raising the chances of another harmful encounter. Resist the urge to spank, slap or otherwise punish—no matter how upset you are—as it only models the behavior you’re trying to get your kids to avoid. Even though you may have seen a child hit, don’t take sides. By assigning victim and aggressor roles in the aftermath of a fight, you increase the likelihood for a repeat performance. Take care of the injured child, but don’t force a meaningless apology from either one. They’ll learn more long-term if you hold them accountable when they’re calm by helping them make amends to the other child—which might mean sharing a favorite toy, drawing a picture for them or playing their favorite game. One of the most powerful ways to prevent future aggression from our kids is to give them plenty of positive alternatives. Children of all ages will benefit from conflict resolution training during a calm moment (not when you’re still fuming). For younger kids, use stuffed animals or action figures to talk about feelings and demonstrate how Mr. Puppy can ask for a turn on the slide from Stripey the Tiger instead of pushing him out of the way. For older kids, talk through various scenarios, and role-play strategies like using “I Feel” statements, problem solving, and just walking away. Make sure your kids know in advance that aggression is not okay—and you won’t be putting up with it. If your toddler lashes out at you, simply avoid eye contact and leave the room. When the child is calm, you can take time for training on what’s okay and not okay, but ignore the tantrum in the moment. For older kids, warn them in advance that while you have complete confidence in their ability to enjoy the playground (or playdate, or backyard, etc. ), choosing to hit, bite, or kick another child means they’re choosing to leave. If, after having this conversation, they display child aggression, calmly say, “I see you decided to leave the playground,” and follow through. With this plan in place, you can nip biting (and hitting, and kicking) in the bud. We get it. This parenting gig is tough. And I know how incredibly frustrating and defeating it feels when our children are aggressive. I wish I could tell you everything there is to know about child aggression in one little article, but there is so much to learn. The most important thing to do is discover the ROOT of the misbehavior, understanding that the aggression itself is just the symptom. If you’re looking for more parenting strategies to help solve some of your other parenting problems, I’d love for you to join me for a FREE ONLINE CLASS. I’ll teach you how to get your kids to listen—no nagging, yelling, or reminding required. Wishing you all the best in your parenting journey!